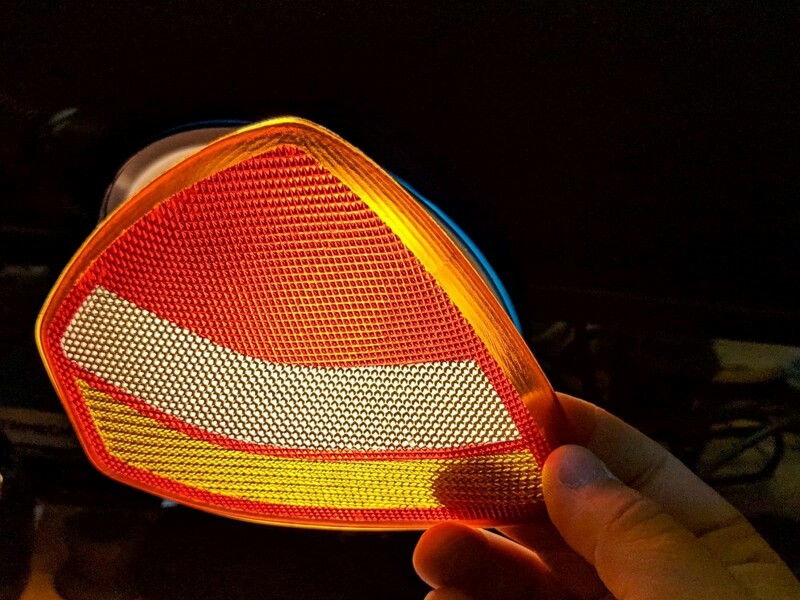 The translucency of these materials makes them ideal for creating full color, multi-body automotive lighting components such as taillights. 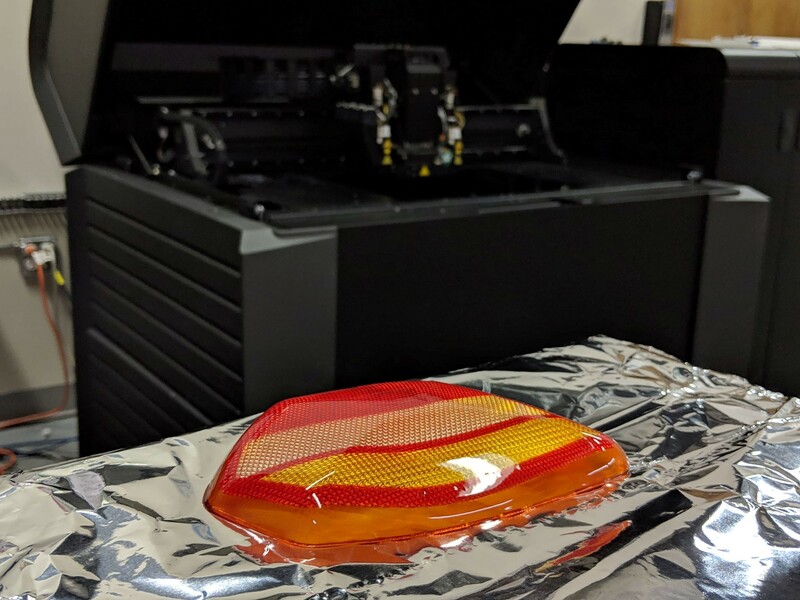 Using PolyJet Technology, the Stratasys J series and Connex3 3D printers can create entire multi-color lighting covers in one run, with minimal post-processing and no assembly required. In my opinion, this is the single best technology and set of materials on the market to prototype these types of components! Prior to the release of Stratasys' Connex3 we were only able to print in greyscale and dull shades of blue. The Connex3 came with the ability to print many combinations of three material palettes, with the primary focus being on VeroCyan, VeroMagenta and VeroYellow to make near full-color prints. However, the limited mix of materials available couldn’t create white at all so we had a hard time accurately showing shadow and brightness and a very limited blend of grey/black. It was possible to load white or black into one of the three available material slots, but at the loss of one of the primary colors, so this wasn't the best of options. When the J750 was released, it resolved all these issues by allowing consumers to print in actual full-color CMYK for the first time, giving them the ability to load cyan, magenta, yellow, black, white AND a sixth material of their choice to obtain the full-color spectrum. Shortly after the release of the J750, the Stratasys’ Material Development Team found that much like the need for a stronger white color in VeroPure White, the J series would be able to create better looking full-color parts if they were to upgrade the base colors themselves to a deeper, more vibrant or “vivid” variant. 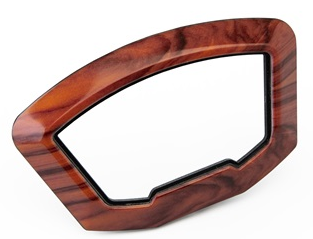 In 2018, Stratasys released VeroYellowV, VeroMagentaV and later VeroCyanV on both the J series and Connex3. So What Are Vero "Vivid" Colors? The VeroVivid color family has the same mechanical properties as the rest of the VeroFamily, but contains more saturated and vibrant colored materials, along with the added bonus of being translucent. Normally, when you print these materials, the printer is mixing them with other Vero materials, such as VeroPureWhite and VeroBlack, and they will have opaque colors. Don’t be afraid to use them just because you think they are going to turn your part semi-clear! The printer’s software corrects this when you are printing full-color VRML’s or OBJ’s, or if you have an assembly with multiple bodies you can choose colors that would be somewhere in the middle of the color spectrum to include some amount of opaque white or black to make the colorless translucent. 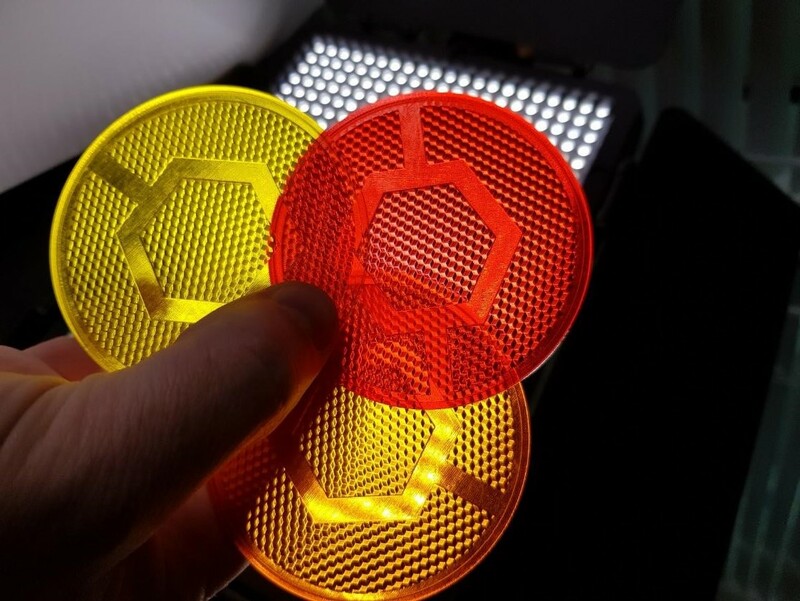 In addition, when printing VRML’s and OBJ’s, the printer will create color on the outermost 1 mm of the part, and back it with a solid 1 cm of VeroPureWhite, which helps to ensure that those colors really pop! So How Do I Use it for Automotive Lighting Components? Like VeroClear, the VeroVivid color family is great at transmitting light through parts, though it’s important to keep in mind that the thicker the part is, the more difficult it is going to be for light to pass through these materials. In the past, when creating light defusing bump features, we would need to design our part in SOLIDWORKS and apply these textures to the selected surfaces in a secondary software, but with SOLIDWORKS 2019 we can now add 3D textures to parts. The new 3D texture features allows us apply bump map patterns to faces or bodies in SOLIDWORKS and pull those areas out from the surface of the part! My recommendation is that when you are designing your part with this type of application in mind, target 2-6 mm of total wall thickness to ensure that you get both good color saturation as well as adequate clarity for light to shine through your part properly. The total print time of this assembly designed in High-Quality Mode (full color, 14 micron layer resolution) was 6 hours and 24 minutes and could be even shorter if printing in High Mix Mode (full color, 28 micron layer resolution, estimated 3 hours and 45 minute print time). 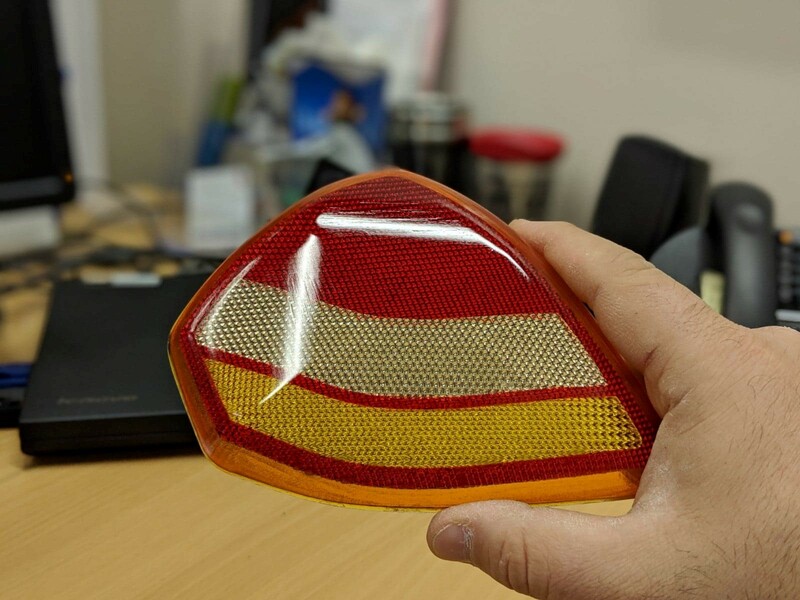 So, between the one hour of design time, 3.75 to 6.5 hour print time, and half hour of post-processing, it’s entirely possible to make amazing and true to life automotive lighting component prototypes inside of a single business day with incredible detail and clarity! Want to know more about the complete process of designing and creating the sample taillight shown above? Download our guide.